We'll bring our mobile Roaming Hearth to your San Juan, Whatcom or Skagit County location. Specializing in festive and casual dining events, we vend for music & arts festivals as well aS wedding rececptions & rehearsals. 'Local' is important to us and we'll work with you to design a creative, nourishing menu sourced from island gardens and the best of Pacific Northwest's producers. We strictly use organic, locally-grown fruits and vegetables. Our meats are sourced from: Pepporoni (Italy, GMO-free); Bacon (Washington, nitrate-free); Sausage (Orcas Island); Mangalitsa (Organic, Orcas Island). We offer menu items for nearly everyone and can accommodate gluten-free, vegetarian, and dairy-free choices. 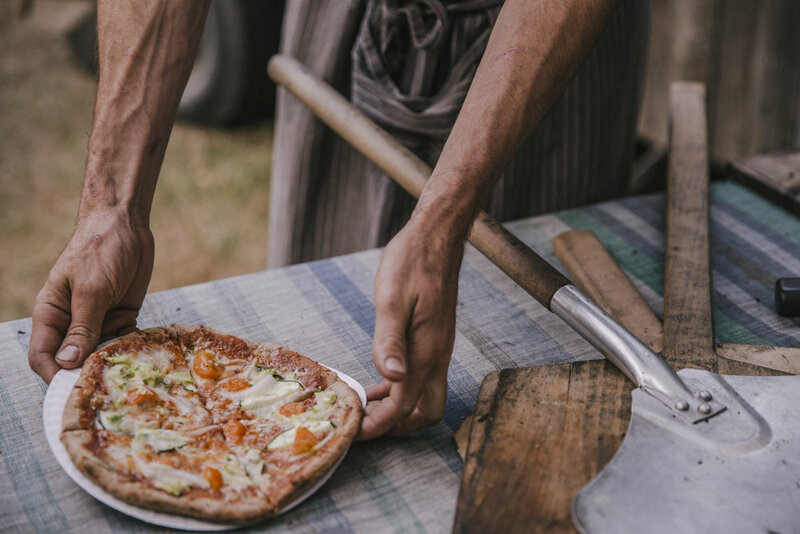 Pizzas are built and baked on-site in the Roaming Hearth– our island-forged, wood-fired oven. We offer recycled, paper products (napkins, plates, cups, utensils) for service, though you are welcome to provide reusable provisions if you wish. Our personal-sized pizzas are approx. 9" in diameter. 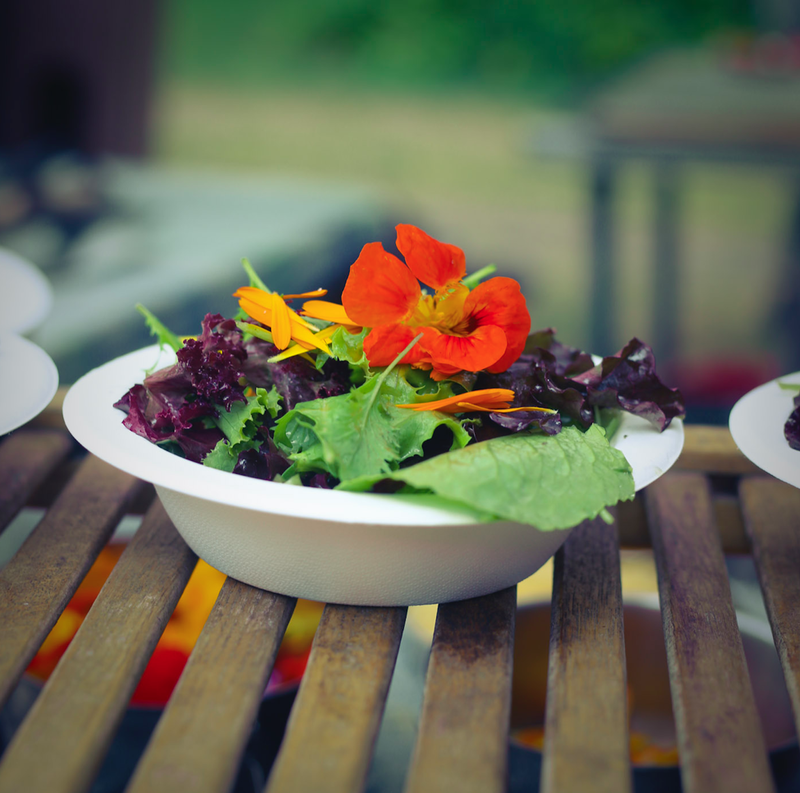 To accompany the pizza, we offer heritage garden greens dressed with house vinaigrette and a selection of dessert and non-alcoholic beverage options. Guests are served directly from our pop-up kitchen. Tell us more about your event and get a quote by filling out our booking form. We'll get back to you within 3-5 business days with availability and an estimate.